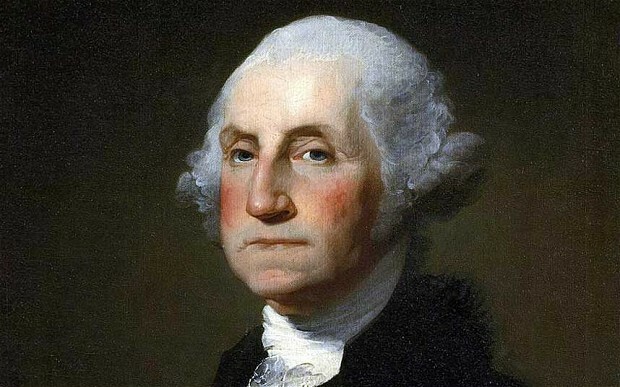 George Washington has been named as the greatest foe ever faced by the British. At the event, each contender had their case made by a historian giving a 40 minute presentation. The audience, who had paid to attend the day, then voted in a secret ballot after all five presentations had been made. Dr Stephen Brumwell, who had championed Washington, said: "As British officers conceded, he was a worthy opponent." The shortlist of five were selected from an initial list of 20 candidates, drawn up by the museum's curators. To qualify, each commander had to come from the 17th century onwards – the period covered by the museum's collection – and had to have led an army in the field against the British, thus excluding political enemies, like Adolf Hitler. The contest was designed to not only identify Britain's most outstanding opponent, but also to draw attention to some lesser-known adversaries. Most of the 20 fought in various colonial wars, such as Ntshingwayo kaMahole, the Zulu leader and victor of Isandlwana, one of the British army's greatest military defeats, and Tipu Sultan, known as the "Tiger of Mysore", who resisted British expansion in India. Alongside Rommel, the only Second World War leader was Tomoyuki Yamashita, the Japanese commander who oversaw the fall of Singapore. The one woman on the list was Rani of Jhansi, who fought British forces in nineteenth century India. The online poll was launched in the middle of February, and around St Patrick's Day – March 17 – there was a surge in support for Michael Collins, although several people pointed out on the museum's website that, technically, the guerrilla leader never led an army on a battlefield. He took a strong lead, but the contest was later featured in the Turkish media, leading to wave of support for Atatürk, who ended up winning with more than 3,000 votes – 40 per cent of those cast. The museum selected the format – of an online poll followed by a closed vote – to filter out tactical voting, reducing the risk that a candidate could win thanks to orchestrated "block" voting – along national lines – rather than on the specific criteria of their performance in battle against the British. The eventual winner, George Washington, came fourth in the online poll, with less than two per cent of the vote. Helped transform the Irish Republican Army into a powerful force which fought the British to a standstill in the Irish War of Independence, securing the separation of most of the island of Ireland from the rest of the United Kingdom. Under him, the force waged a guerrilla campaign, mounting attacks and ambushes on barracks, police stations and convoys before quickly withdrawing. His tactics made much of Ireland ungovernable – with an army that never exceeded 3,000 active volunteers at any given time. Gabriel Doherty, lecturer at University College Cork, said: "He was much more than just a great military leader. He had many different hats and his political and administrative skills tend to be a lot more overlooked." Emerged from the turmoil and terror of revolution to become France's greatest military commander, conquering much of Europe. His greatest victories were against other countries, but his final campaign, culminating in the Battle of Waterloo, tested the Duke of Wellington to the limit. Alan Forrest, professor of modern history at the University of York, said: "Napoleon was, of course, a supremely gifted general and military tactician, and he also had an unerring gift for propaganda and self-promotion. He recognised in Britain his most implacable opponent, and concentrated all his resources – political and economic as well as military in his attempt to defeat him." A decorated veteran of the First World War, he led the German "Blitzkrieg" of France in the Second World War before making his name battling British forces in North Africa, where he earned the nickname "Desert Fox". His skill at handling armoured formations enabled his "Afrikakorps" to consistently outmatch his opponents, often against heavy odds. Dale Clarke, a reservist officer in the Royal Artillery, author and technical adviser on historical films and television shows, said: "A myth may have grown up around Rommel but there is an underlying truth that he was a superb leader who knew that in war you have to instantly grasp the initiative and keep your men moving forward. He is still the ultimate enemy, because of his sheer tenacity and skill." Fought a tenacious defensive campaign at Gallipoli in 1915 which forced the Allied invasion force to withdraw. Displayed great leadership and tactical acumen, reacting immediately to the landing at Anzac Cove to launch successful counter-attacks, preventing his opponents from securing high ground. Matthew Hughes, from Brunel University, said: "Atatürk resisted the British-led amphibious landings and was the man at the front who stopped the enemy troops taking the peninsula, advancing on Istanbul and knocking Turkey out of the war."